If you’re buying Windows 8 – not as online software download – here’s how the box of the disc will look. 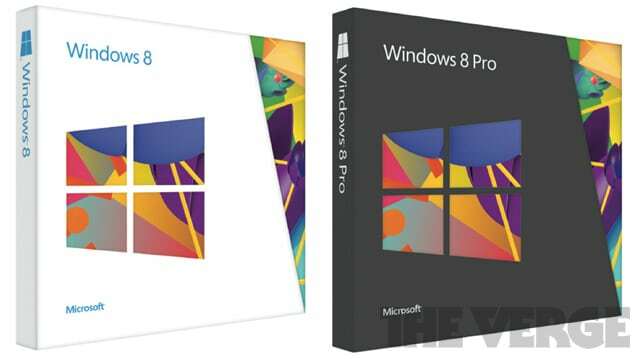 As you can see, Windows 8 and Windows 8 Pro will come in two different box. Windows 8 appears to come in a white box, while Windows 8 Pro will come in a black block. You will be able to buy Windows 8 on October 26. Three different Windows 8 versions will be available to purchase from retail store or as software download upgrade. Windows RT will be the third version of Windows 8 optimized for tablets.